In Chapters 2 through 5, we focus on a clinical description of the specific personality disorders according to DSM conceptualizations, organized by clusters (Cluster A in Chapter 2, Cluster B in Chapter 3, Cluster C in Chapter 4, and other personality disorders in Chapter 5). The diagnostic criteria for each personality disorder are reviewed with particular attention to possible age-biases, age-relevance, and problems with the suitability of the criteria to older individuals. Theorized patterns of the personality disorders in later life are discussed in each chapter as well as the typical ways that they are affected by common challenges associated with aging. Case examples are offered throughout. Age-related stressors are addressed, including retirement, spousal loss, physical illness, changes in appearance, and increased dependency. In Chapter 6, we turn to the epidemiology of personality disorders and the challenges of comorbidity. The personality disorders described in these chapters are listed in Table 2.1. Before turning our attention to the personality disorders in Cluster A, we first examine the applicability and age appropriateness of the DSM's General Diagnostic Criteria for personality disorders overall. Adapted from Diagnostic and Statistical Manual of Mental Disorders, third edition, revised, and fourth edition, text revision, by American Psychiatric Association, 1987 and 2000, Washington, DC: Author. The DSM-IV-TR (American Psychiatric Association, 2000) embodies a pragmatic approach to diagnosis that intentionally deemphasizes specific theoretical perspectives on psychopath-ology. Rather, the approach focuses on making diagnoses in a reliable and valid fashion, based largely on behaviorally opera-tionalized criteria (Segal & Coolidge, 2003). Regarding personality disorders, the first step in diagnosis is to gauge whether the patient shows a broad pattern of personality problems that meets a general diagnostic threshold. Only after the general criteria are met should the clinician determine which specific personality disorder or personality disorders are present. D. The pattern is stable and of long duration, and its onset can be traced back at least to adolescence or early adulthood. E. The enduring pattern is not better accounted for as a manifestation of consequence of another mental disorder. F. The enduring pattern is not due to the direct physiological effects of a substance (e.g., a drug of abuse, a medication) or a general medical condition (e.g., head trauma). Source: From Diagnostic and Statistical Manual of Mental Disorders, fourth edition, text revision, American Psychiatric Association, 2000, Washington, DC: Author. Copyright 2000 by American Psychiatric Association. Reprinted with permission. the expectations of the individual's culture." Recognition of the influence of culture was first introduced in DSM-III-R (American Psychiatric Association, 1987) and refined in DSM-IV (American Psychiatric Association, 1994) and DSM-IV-TR. Further, this pattern must be demonstrated in at least two important areas of functioning, including one's thinking patterns (cognition), emotional reactions (affectivity), social relationships (interpersonal functioning), or ability to moderate desires (impulse control). As implied in the definition, cultural sensitivity and an understanding of the nuances of the individual's cultural frame of reference are important in avoiding diagnostic mistakes, especially the overpathologizing of normal variations in beliefs and behaviors consistent with an individual's culture (American Psychiatric Association, 2000). Because cultures vary widely in conceptions of selfhood, coping, and communication styles, applying personality disorder criteria across diverse cultures may be particularly challenging (American Psychiatric Association, 2000). For example, an individual from a cultural group that values interdependence and deference to others should not be viewed as having a Dependent Personality Disorder in the classic sense. Some cultures value dramatic personal expressions, not necessarily implying a histrionic personality. Two aging issues regarding Criterion A are that emotions (both positive and negative) typically become somewhat leveled or muted with age, and people are generally less impulsive in later life. These changes reflect normal aging, and therefore these aspects of Criteria A do not apply well to some older people. Other general criteria indicate that the personality pattern must be inflexible and manifested in several areas of life (Criterion B), the pattern leads to clinically meaningful distress or impairment in the individual's functioning (Criterion C), and the pattern is relatively stable and can be traced back to adolescence or early adulthood (Criterion D). The last two criteria are the exclusionary rules included in almost all diagnoses. It must be ascertained that the disordered (personality) pattern cannot be better accounted for by another (primary) mental disorder (Criterion E) or by the direct effects of a substance or an underlying medical condition (Criterion F; American Psychiatric Association, 2000). Criterion D may be problematic among some older adults because it can be difficult to identify exactly when a personality disorder originated, and this problem is confounded even more by the difficulties with retrospective reporting over many decades. Finally, Criterion F may be problematic in an aging context because older adults are likely to have health problems, both chronic and acute, and to be taking medications for these problems. Thus, diagnostic consideration must take into account the effects of physical illness and medications on one's everyday functioning. In summary, it is apparent that some of the General Diagnostic Criteria may fail to take into account normal changes that are associated with the aging process and in some cases fail to capture aspects of personality disorder pathology as it is expressed in later life. With these general issues in mind, we now examine several specific personality disorders. The core thematic features of the personality disorders in Cluster A include unusual, odd, eccentric, and sometimes even bizarre personality features. Based on the odd nature of these personality disorders, it should not be surprising that these patients are typically withdrawn and isolated and that there is a link between Cluster A personality disorders and the psychotic disorders, most notably Schizophrenia. Cluster A personality disorders are more common in relatives of schizophrenics than in the general population (O'Connor & Dyce, 2001). However, individuals with Cluster A personality disorders are not blatantly and persistently psychotic (or may not be psychotic at all), and they generally maintain contact with reality. The DSM-IV-TR diagnostic criteria for the three Cluster A disorders are listed separately in the following subsections. This disorder manifests itself as a pervasive pattern of distrust and suspiciousness of others without appropriate or adequate justification. People with this disorder easily perceive malevolent, malicious, and deceitful intent in others and maintain the suspicion that others are out to do them harm. They are easily slighted and dwell on the loyalty and trustworthiness of others. The pervasiveness of suspicion is such that benign comments by others or innocuous events are often interpreted as threatening personal attacks. Their hypervigilance against attacks from others results in the chronic scrutiny of others. During such scrutiny, paranoid persons tend to find spurious evidence to distrust others and, as a consequence, they typically feel persecuted. The famous writer William S. Burroughs revealed this tendency in his famous quote: "Paranoia means having all the facts." People with Paranoid Personality Disorder often become involved in hostile disputes and aggressive confrontations with others. Counterattacks are common as a perceived way of self-protection. Due to their chronic suspiciousness, people with Paranoid Personality Disorder tend to neither confide in others nor share personal information because doing so would open them up for attack. They believe that they cannot openly or authentically relate to others because anything that they share can and will be used against them. They bear grudges and are frequently obsessed with jealousy and perceived infidelity of romantic partners. Paranoid individuals often go through life extremely isolated and alone. The very nature of the paranoid person can be compounded by social isolation. Others tend to recoil and to be leery of interacting with the cold and suspicious paranoid person. Thus, their isolation intensifies their already paranoid beliefs because they are not afforded the reassurance and corrections that may happen in healthier relationships. Further, paranoid individuals are highly vulnerable and feel that they must constantly "keep their guard up" to prevent interpersonal exploitation. In many cases, their isolation can be extreme. In one of our cases, a 67-year-old woman with Paranoid Personality Disorder reported a lifetime history of never having even one close friend or confidant due to her profound concern that if she revealed personal information, the acquaintance would use the knowledge to hurt the patient. She also avoided sexual intimacy for the same reasons. Table 2.3 provides the DSM-IV-TR diagnostic criteria for Paranoid Personality Disorder. B. Does not occur exclusively during the course of Schizophrenia, a Mood Disorder With Psychotic Features, or another Psychotic Disorder and is not due to the direct physiological effects of a general medical condition. Two Paranoid Personality Disorder criteria may be problematic for older adults. Criterion A1 (suspects, without sufficient basis, that others are exploiting, harming, or deceiving him or her) may not apply well to some in later life because older adults with certain risk factors (e.g., impaired physical or cognitive status; family social isolation) are known to be at heightened risk for elder abuse (Wolf, 1998). A further complication to this issue is that older adults in the present cohort are increasingly being targeted by unscrupulous people who are trying to scam or swindle them. In these cases, it makes sense that older adults should be more wary of others to reduce their risk of abuse. Criterion A2 (is preoccupied with unjustified doubts about the loyalty or trustworthiness of friends or associates) may not fit as well for those in later life who have to form new social connections to replace lifelong relationships that have been lost. In many cases, new friendships may not have the same level of trust and security as those forged over many years. Theorized Pattern in Later Life and Possible Impact of Aging The primary aging issues relevant to the paranoid type include physical illness, sensory decline, and increased dependency. Regarding sensory impairments, older adults who experience declines in hearing and vision may incorrectly think that others are talking about them or threatening them in some way. Evidence suggests that sensory deterioration is a primary cause of certain psychiatric disorders, most notably late-onset paranoia (Almeida, Forstl, Howard, & David, 1993). Among those with Paranoid Personality Disorder, these types of sensory impairments may make the underlying paranoia more pronounced. The emergence of cognitive dysfunction due to a dementing illness may also trigger paranoid thinking or may worsen premor-bid paranoid traits. Increased dependency on others will also be problematic for paranoid older adults who are not used to and are uncomfortable with accepting help from others. In cases where professionals (e.g., home health care workers) need to provide services in the home, the paranoid person may react with distrust and agitation due to perceiving the workers as being intrusive and untrustworthy, or deny them entry to the home altogether. The paranoid person may voice complaints of being abused, victimized, or taken advantage of, and the clinician must carefully evaluate his or her concerns and the situation to make sure that, in fact, no harmful acts are occurring. Because older people with Paranoid Personality Disorder are often experienced as being distrustful, argumentative, and hostile, their level of social support may be poor. Whereas they are likely to be highly isolated, they are equally rejecting of needed social support. In fact, Butler, Lewis, and Sunderland (1998) suggest that the paranoid type has the most problems of all the person ality disorders in later life, due to the loss of the few relationships they may have developed earlier in life and the subsequent increasing isolation. Do you have low self-esteem? Do social situations stress you out? 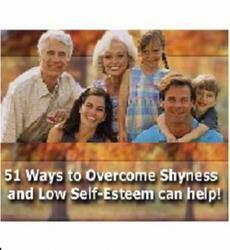 Do you wish you weren’t so shy?<br />51 Ways to Overcome Shyness and Low Self-Esteem can help. Find all these ideas and more! 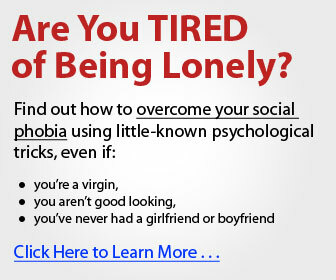 Start raising your self-esteem today.